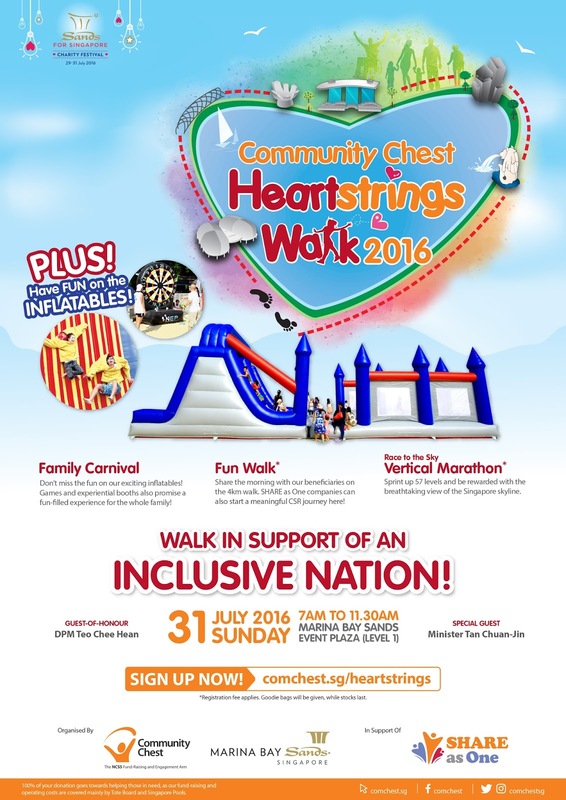 The annual Community Chest Heartstrings Walk is back again after another successful year 2015 where more than 8,500 people walked as one for a charitable cause on the first morning of the Jubilee Weekend on Friday, 7 August. This included 1,800 beneficiaries – comprising of youth, families, seniors and persons with disabilities – and caregivers from over 60 charities supported by Community Chest. This year, expect the same if not much more excitement at the walk where family and friends can come together for a good cause, create priceless memory to walk in support of an inclusive nation. 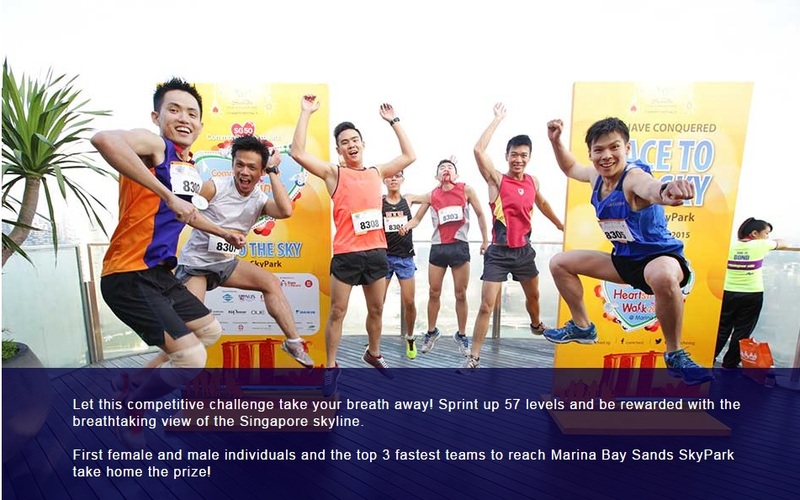 All donations, including the SGD10 registration fee, will be channeled to charities supported by the Community Chest. 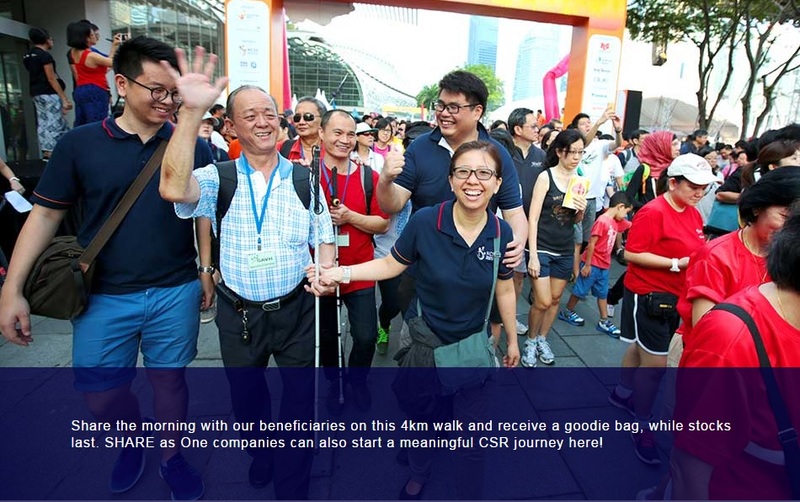 Gather a few friends and family members, sign up with a donation of SGD10 per pax, receive a goodie bag (while stock lasts) and walk together for a good cause. 1. Pledge an outright donation* as a Diamond, Platinum, Gold or Contributing Partner. Each partner is entitled to send 2 teams of 4 to participate. 2. Donate $2,000 and sign up as a team of 4^. * Donations will enjoy 250% tax exemption. ^ If you wish to register as a non-corporate team, please email your name and contact number to ncss_comchestheartstrings@ncss.gov.sg to request for a one-time login and password. Payment arrangement will be advised upon online submission of the completed registration form. For Fun Walk please head over here. 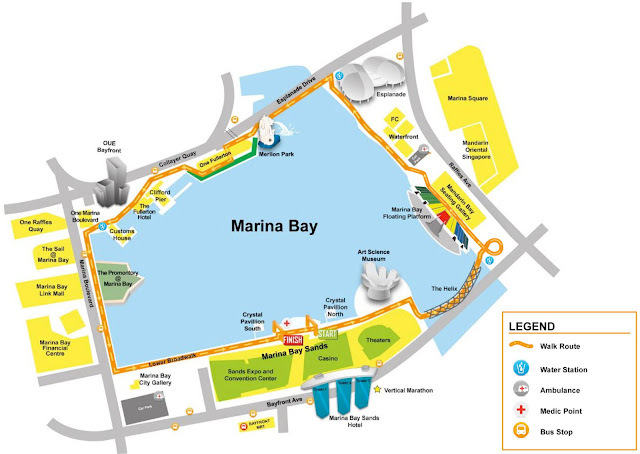 For Vertical Marathon please head over here. If you would like to do more, why not consider joining SHARE as One, a hassle-free monthly giving programme of Community Chest, all donations through SHARE will be a continuous source of funds to provide holistic and comprehensive support to a wide range of charities, especially those who are less visible or relatively unknown. Start your journey to provide lasting impact on the lives of the disadvantaged here. 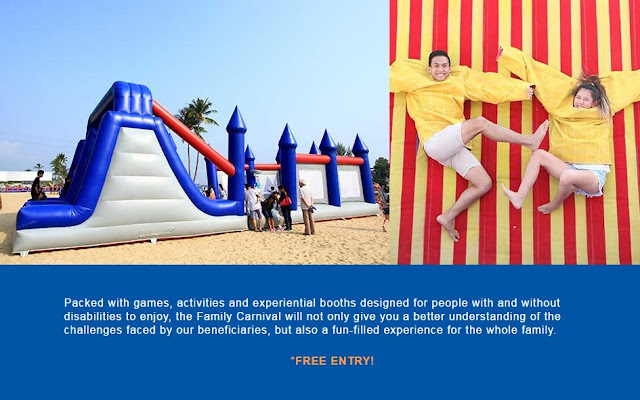 i must say that this years' version seems boring and organiser put dirty inflatables and kind of disappointed at how they manage the queue and even rejected my 3yo kid by shouting. I am least impressed with such and if they are volunteers, they ought to get some good training or if they are staffs, I must say that they need to be more trained. overall, i feel it was not as good as what i had in the past for this event. many ppl seems scattered. The kids played 2 games i think, I wasn't there coz I was queuing to collect the goodie bag so not sure the condition of the inflatables etc. Maybe you should leave a comment on their facebook page so that they know and will improve on the overall event.